Service related add-ons can raise the value of products while encouraging higher levels of customer satisfaction. A paper by Lusche & Spohrer discusses the service-dominant (S-D) logic as a science that encourages systems-level thinking and provides greater value propositions. The development of service related products alleviates many human-oriented problems in business and government entities. Thinking about service requires moving beyond the obvious to incorporate difficult to account for complexity. Improvement comes with a level of chaos as we learn that we are interconnected and influenced by a complex system of people, events, and actors. S-D logic helps us understand how the underlying principles that foster growth and creation are not readily apparent. They are part of the fabric of our environment but when taken together create the totality of our economic system. 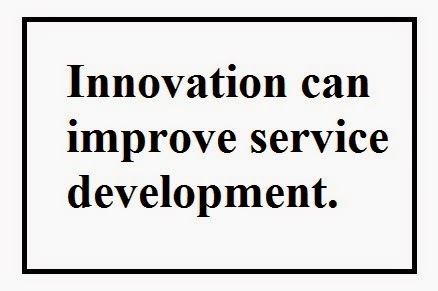 Innovation changes the environment in a way that can encourage higher levels of functioning and interaction between business and customers. Sometimes this innovation is complex and at other times it is small and adjustable. Change is the process of generating new solutions to existing processes and enhancing smooth business functioning through continuous adjustment. Current institutional logic works well when the market is simple and stable. Business and marketing management is focused heavily on analysis, planning and control but are not optimum when the environment changes. The process of strategizing is based upon fixed market assumptions that don’t regularly leave enough room for unexpected adjustments. It is important to consider the adjustments in business development as the business changes and adapts to its environment. When new products and services make their way onto the market they naturally create change among the economic actors who seek to maximize their earning potential. We can see this occur in the development of stronger and more reliable cell phones that incorporate apps to enhance their functionality. All service development should think about strategy beyond the here and now and leave enough flexibility within the strategic decision-making process to adjust to changes and new developments as they occur. This requires openness to new information that can help a strategy adjust as that new information becomes relevant. Providing for some level of contingency planning of most likely change scenarios can be beneficial. Lusch, R. & Spohrer, J. (2012). Evolving serve for a complex, resilient, and sustainable world. Journal of Marketing Management, 28 (13-14).